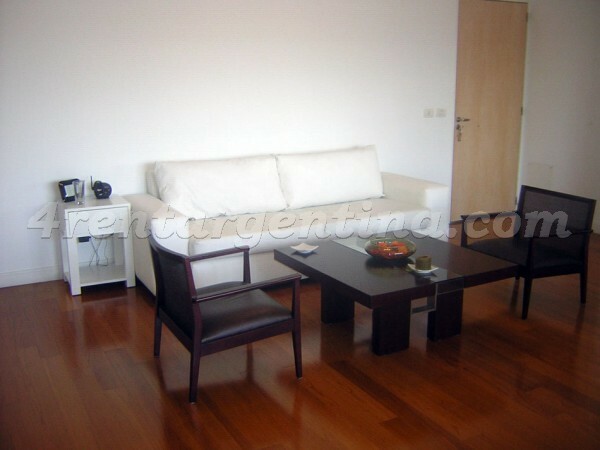 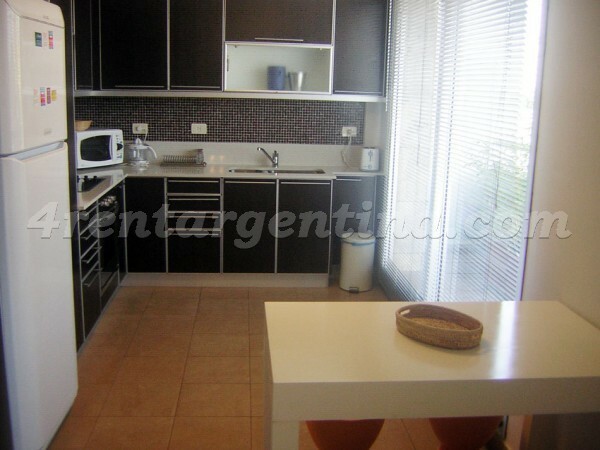 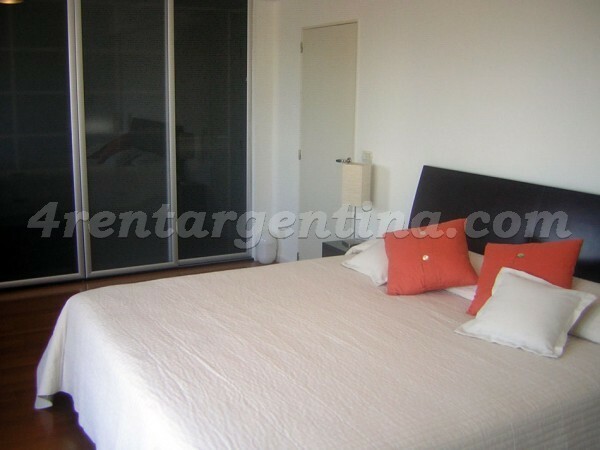 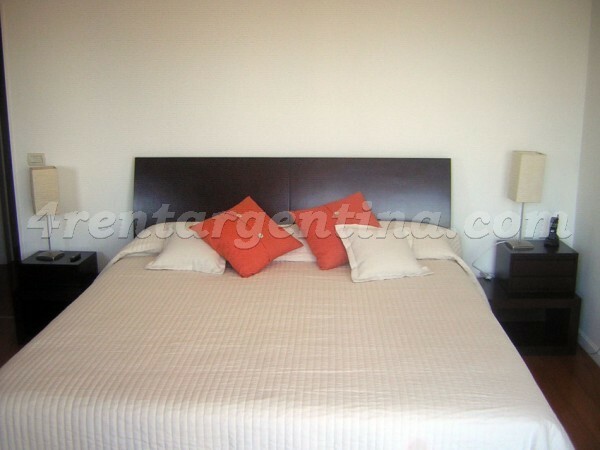 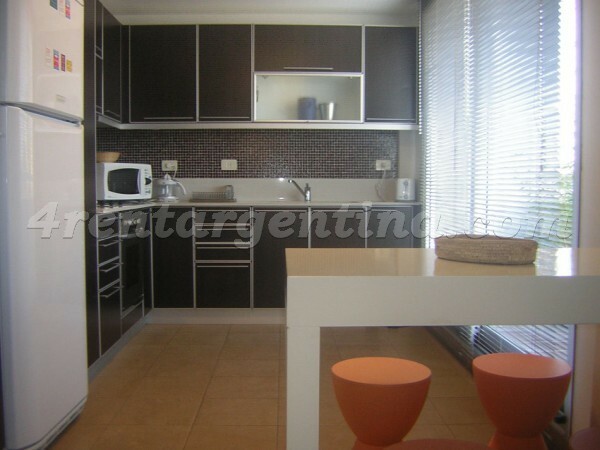 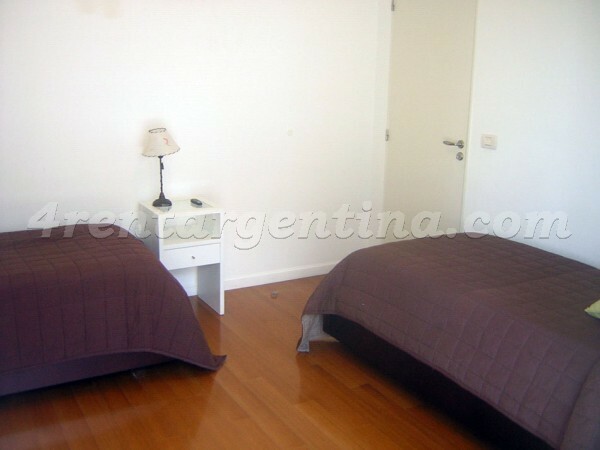 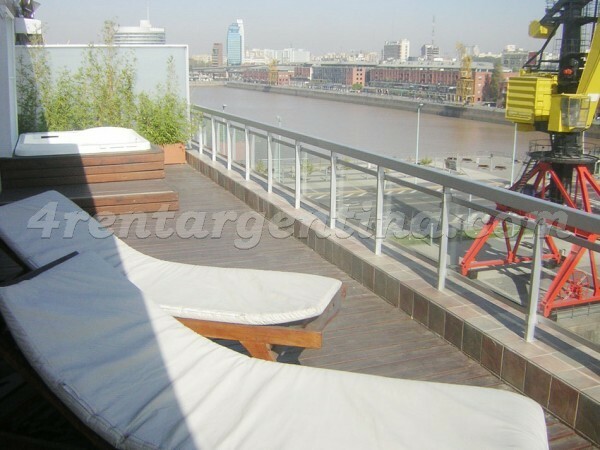 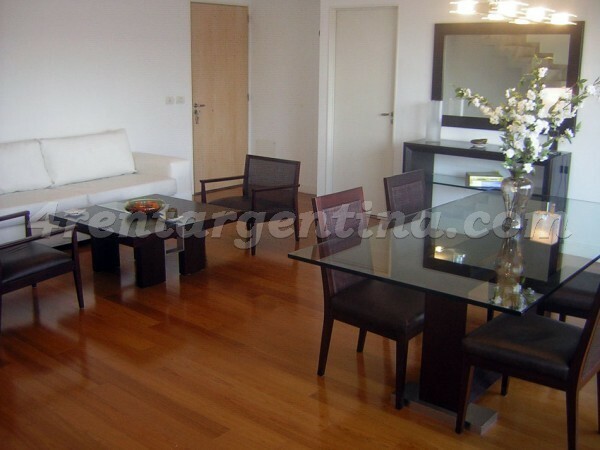 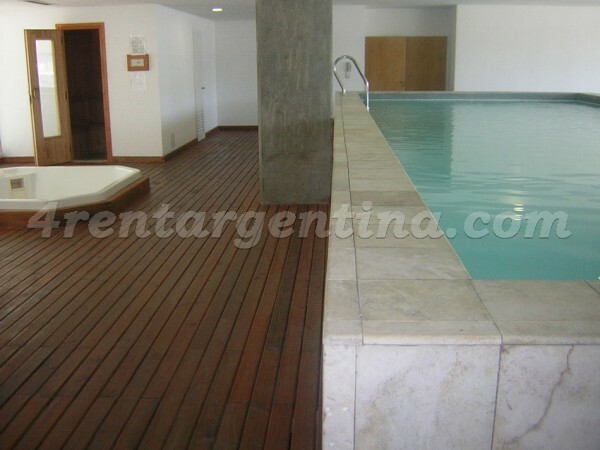 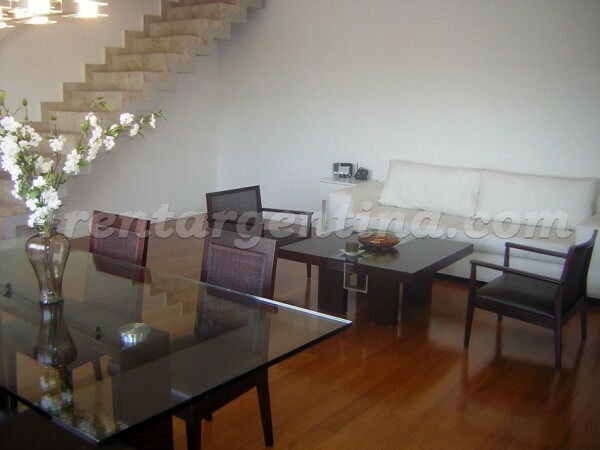 Excellent furnished apartment for temporary rent located in the exclusive neighborhood of Puerto Madero. 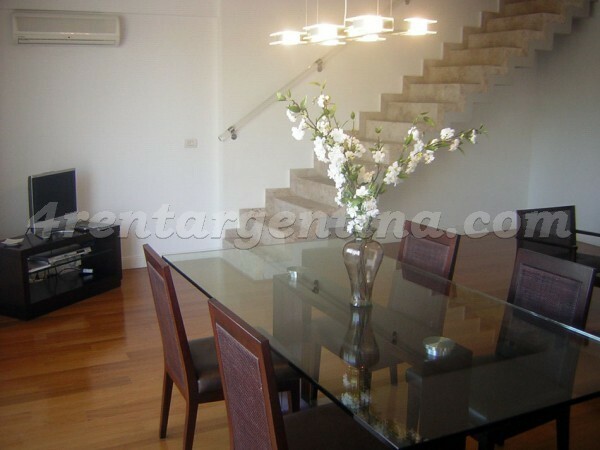 This apartment is distributed in two levels. 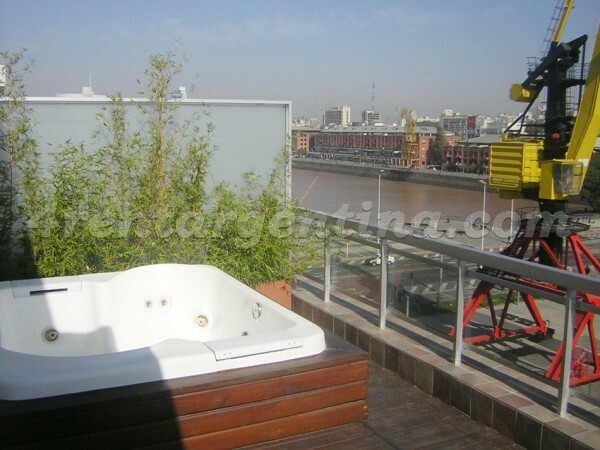 On the higher floor, there are two bedrooms one with a king-size bed and other with two single beds  and two terraces one with a jacuzzi. 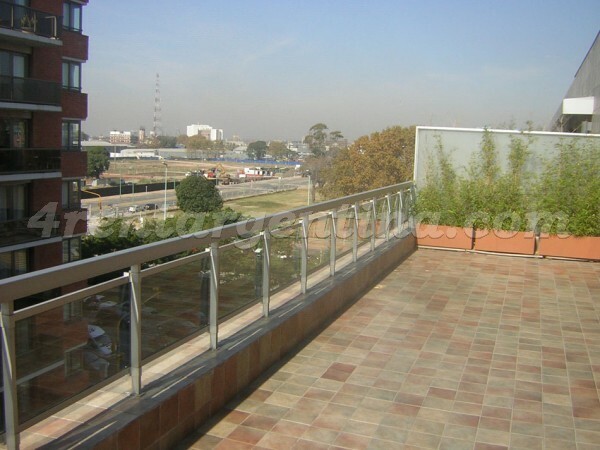 On the lower floor, there are a spacious living/dining-room, a fully-equipped kitchen with oven, and another terrace with a table and chairs where you may enjoy a wonderful view. 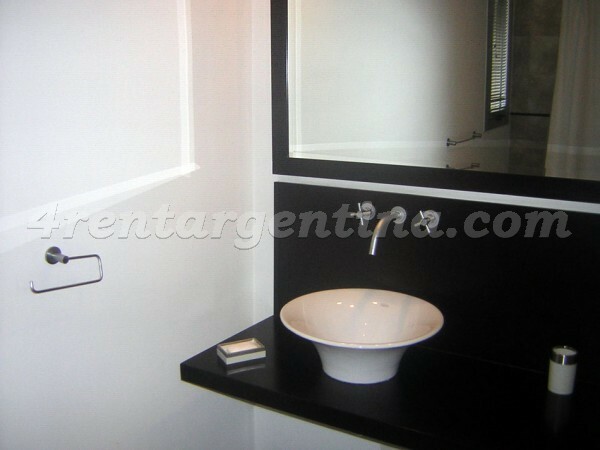 Besides, the apartment has a full bathroom with tub and a toilet, cable TV, air conditioning, underfloor heating, Wi-Fi Internet connection, security safe box, DVD player and telephone. 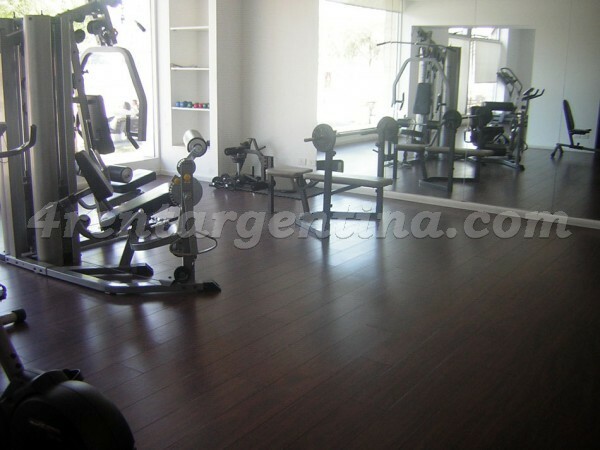 The building has a swimming-pool, a solarium, a sauna, a gym, a laundry, and a lobby. 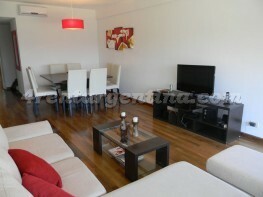 The rent includes 24-hour security service and weekly maid service.